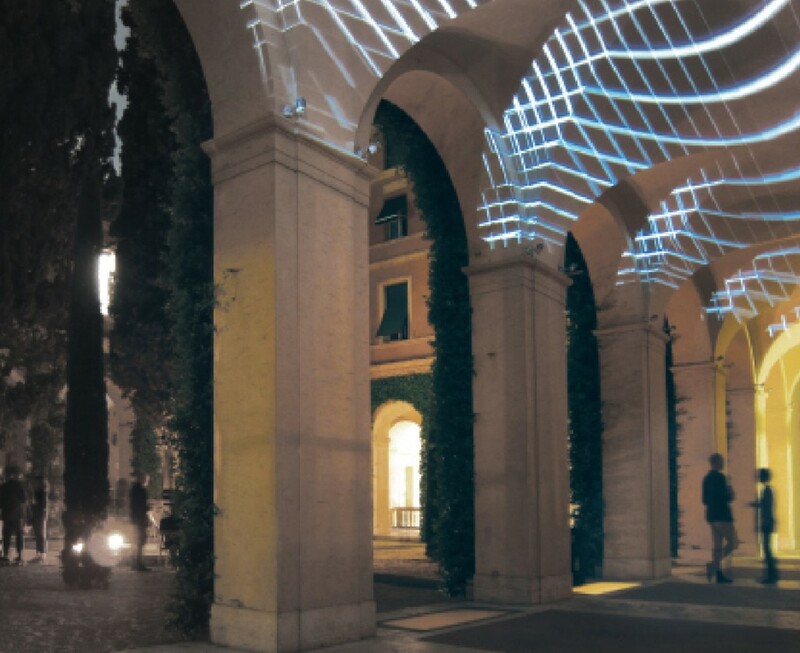 X Locus transforms a public courtyard into a space for introspection and reorientation. 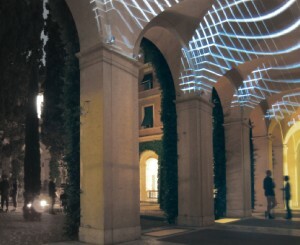 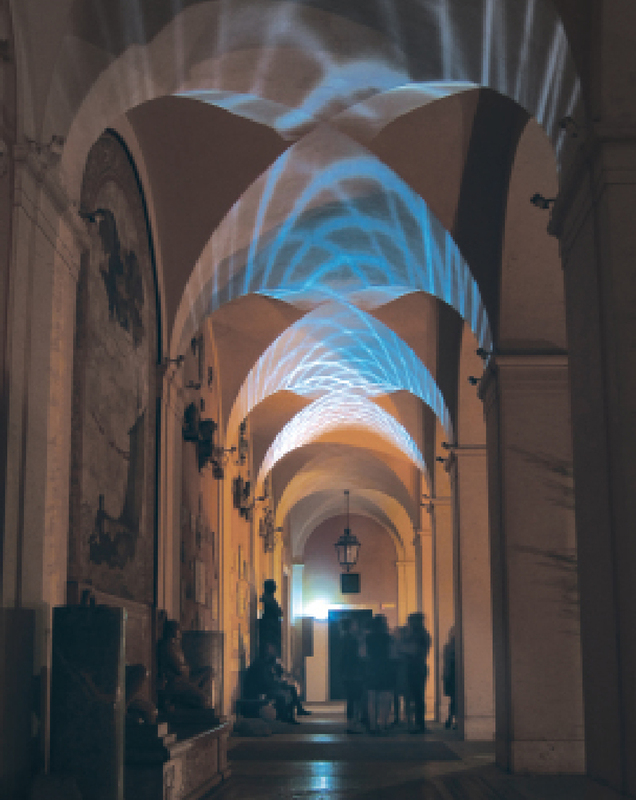 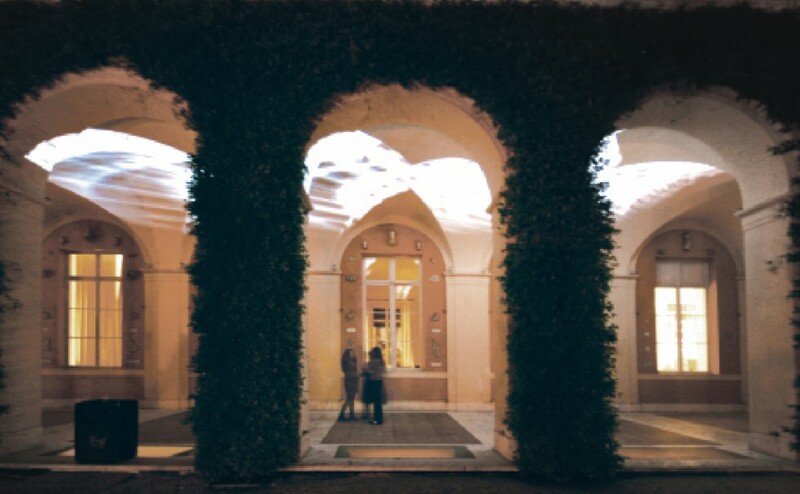 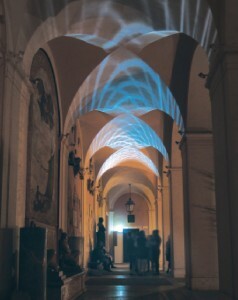 ‘X Locus’ explores senses of dislocation and repatriation in the communities of the American Academy in Rome, and the respective backgrounds of those who pass through via traversals of sound, text, and visual projections onto the introverted cortile space. Using video of water features in and around the grounds of the Academy as input for a digital animation, a geometric lattice was modeled, deformed, and recorded. 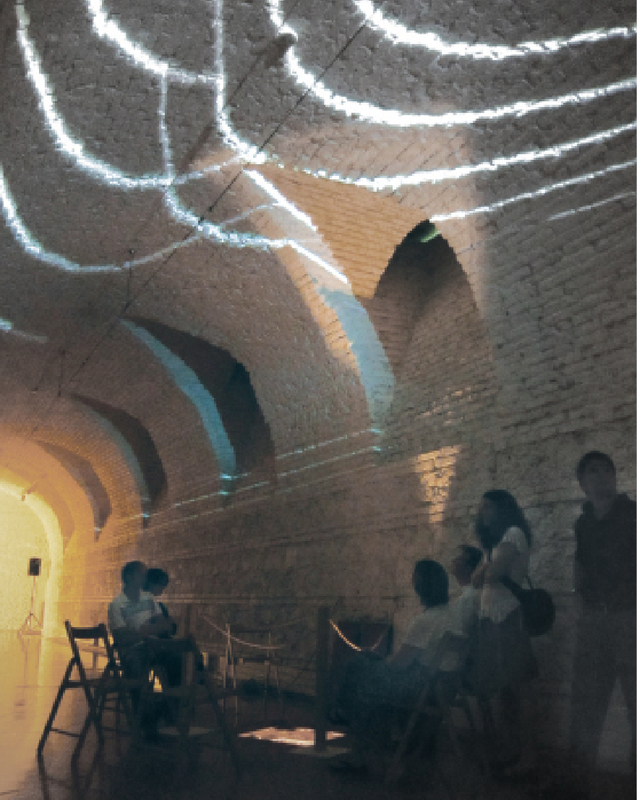 The resulting patterns, evocative of caustic reflections in a grotto, are matched to the patterns of the existing architecture, and tuned to the vibrations of the musical component.